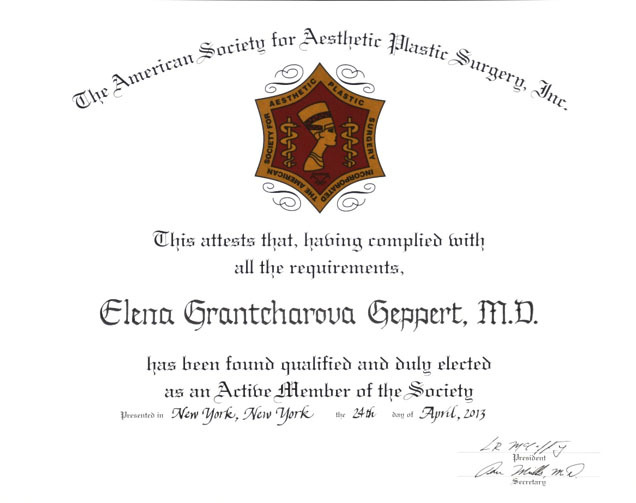 Elena Grantcharova Geppert, MD is a well rounded plastic and cosmetic surgeon with a discerning eye for beauty and a strong appreciation of art and style. 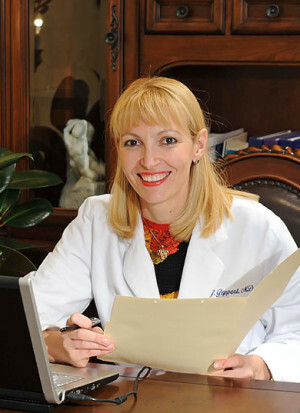 Dr. Geppert was born in Bulgaria (part of Eastern Europe bordering Greece). At age 15 she defected on her own from the communist government of Bulgaria to Western Germany. She came as a refugee to New York City and graduated as a Valedictorian of her High School Class. 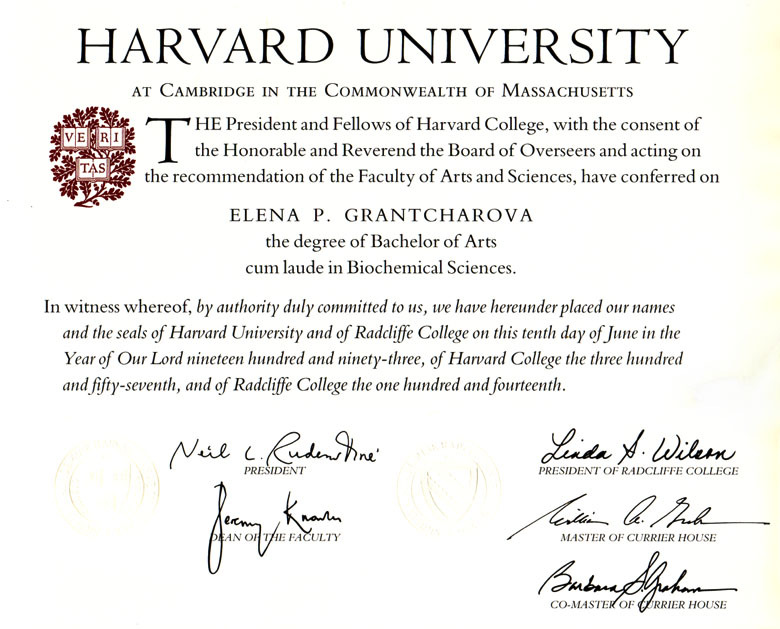 Dr. Elena G. Geppert was accepted into Harvard University on a full scholarship, and graduated with honors in Biochemistry and Molecular Biology. During her studies in Cambridge she did scientific research at the Harvard Medical School and at the CNRS (Centre National de la Recherche Scientifique) in Strassbourg, France. 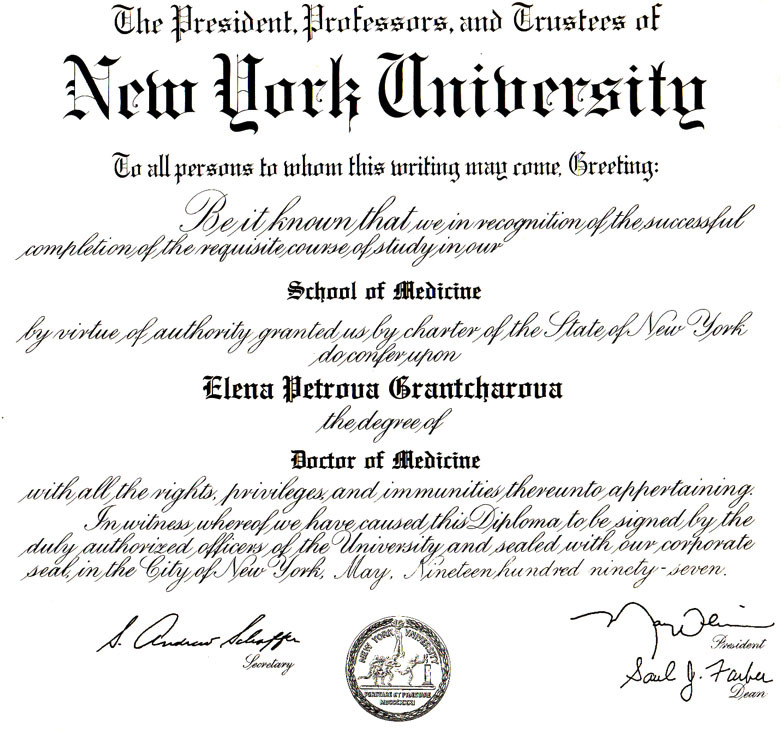 She returned to New York to study medicine at the New York University School of Medicine. 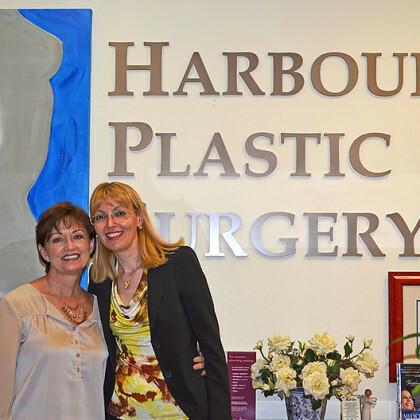 Her artistic skills and appreciation for beauty led to her choice of plastic surgery as a career. 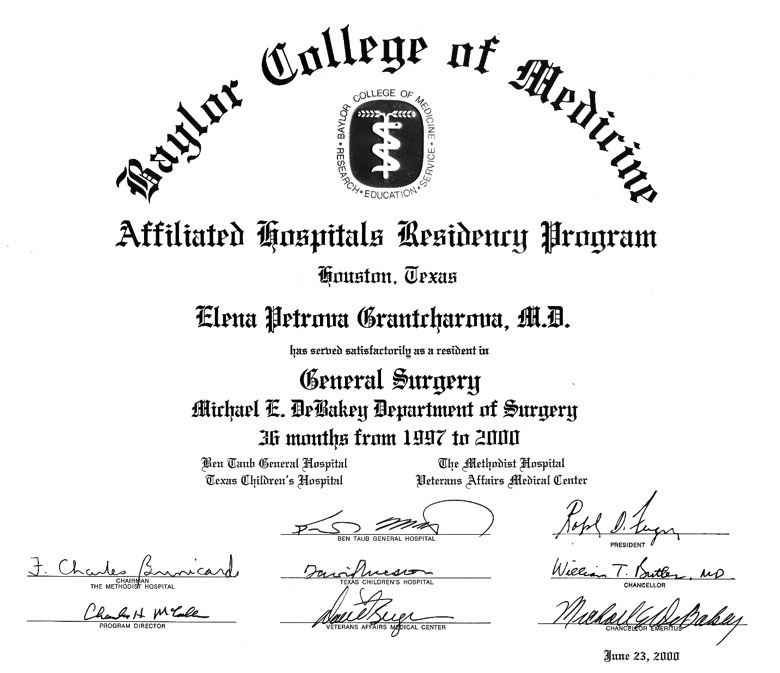 Dr. Geppert fulfilled her pre-requisite training in general surgery at the world renowned Michael DeBakey Department of General Surgery at Baylor College of Medicine in Houston. 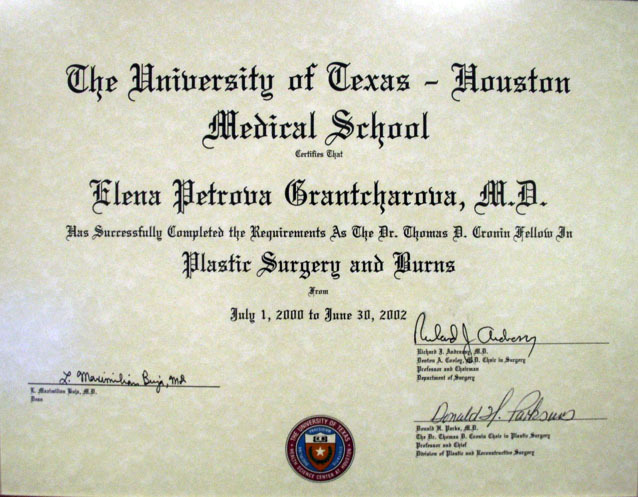 She was awarded the Thomas D. Cronin Fellowship in Plastic Surgery and Burns at the University of Texas-Houston Medical Center where she mastered the treatment of acute burn care and post-burn reconstructive surgery under Prof. Dr. Donald H. Parks. Dr. Geppert was accepted at the well known Plastic and Reconstructive Surgery Residency Training Program at the University of Texas Houston Medical Center. 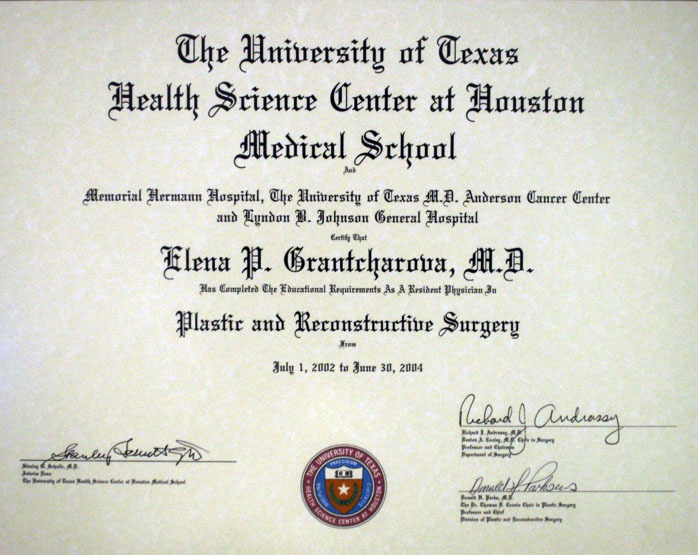 During her training in Plastic and Reconstructive Surgery Dr. Geppert completed more than 1700 surgical cases at Memorial Hermann Hospital, LBJ General Hospital, St. Joseph Hospital and MD Anderson Cancer Center. Being fluent in 5 languages, Dr. Geppert also had the opportunity to travel numerous times to Rio de Janeiro, Brazil to operate with the world renowned aesthetic plastic surgeon Prof. Dr. Ivo Pitanguy at the Santa Casa da Misericordia General Hospital. 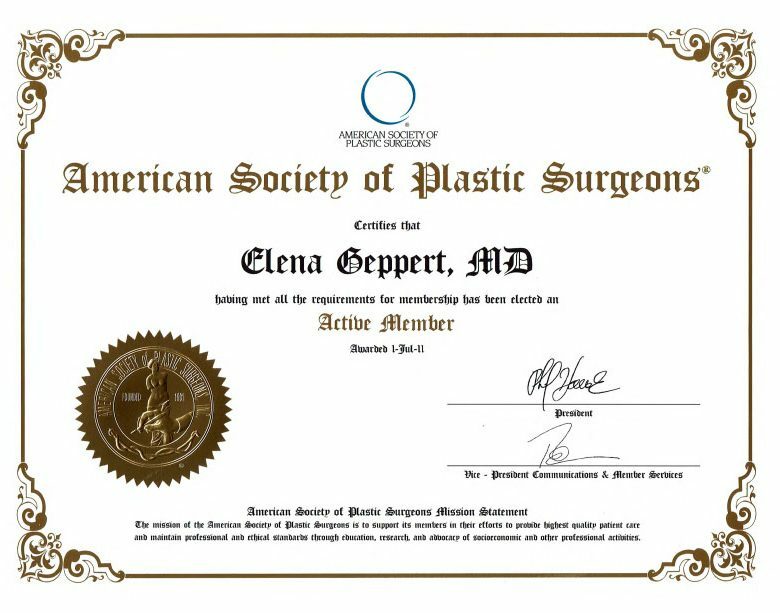 Dr. Elena G. Geppert is currently affiliated with Clear Lake Regional Hospital, St. Luke-Patients Medical Center, Christus St. John Hospital, Bayshore Medical Center, Bay Area Surgicare Center, and South Shore Surgicenter and Doctors Outpatient Surgicenter. 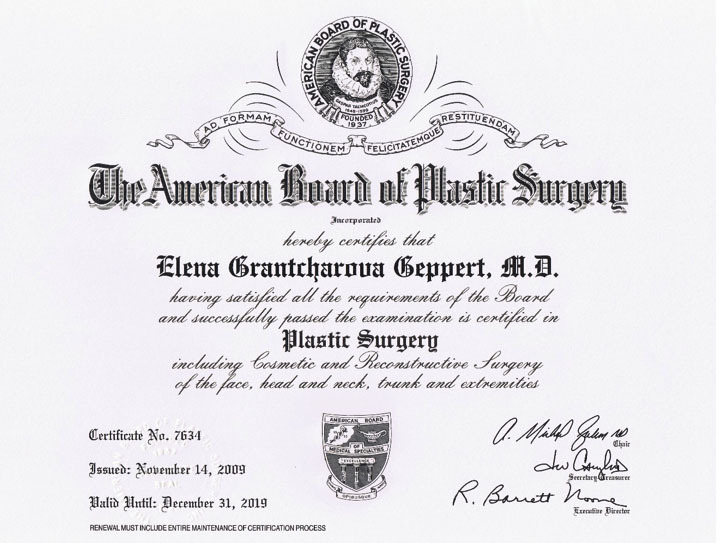 Dr. Geppert is well versed in all areas of plastic and cosmetic surgery, and specializes in aesthetic face and body surgery as well as reconstructive breast surgery. She lives in the South Shore area with her husband, son, and twin daughters. Her interests are travel, art, sailing, skiing, and spending time with her family.